Duke Medical Australia has been supplying medical instruments and medical supplies to Western Australian hospitals for over thirty years. Survac wound drainage bottles are available in 3 sizes, high and low vacuum and push on and luer lock fittings. These are the best wound drainage bottles available and a vast range is kept in stock. We also keep a large range of plastic and silicone drains with and without trocars attached that may be used with Survac bottles or any other system you may be using. 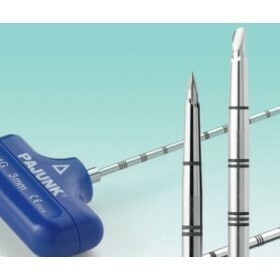 Our products are from Germany and Australia and we proudly represent well known medical manufacturers.